Weather Perplexes, Forecasts Of El Nino, Conditioning Ideas, Interesting Articles. Some say that we are in the change that was forecast when the CO2 levels in the atmosphere started topping the charts. Others say it’s just part of a cycle. Well, it’s not a cycle we remember. Our friends took their cruising sailboats down east to Maine and found unusual amounts of fog and rain. It happens, but plain old odd weather seems to be happening in a lot of places. In any case, we’ve been paying close attention to what’s been going on the the Eastern Pacific all summer long. Whether those ocean waters warm up or cool down has a lot to do with the weather we will experience this winter. 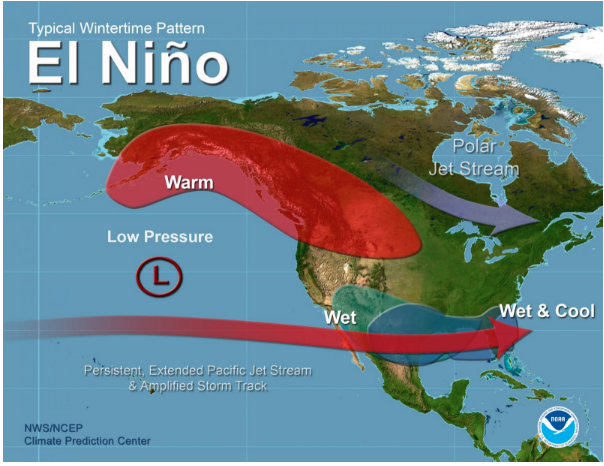 Right now, the waters are predicted to warm up which means an El Nino condition setting in. Depending on how hot the sea water gets can determine whether it will be an average year or a below average year for snow. To see an excellent discussion of this, go to OpenSnow.com, Joel Gratz’s weather and snow conditions website. Physical Therapist Rick Silverman starts us off with a basic leg lift. Meanwhile, as we near the end of August, it would be wise for readers to consider a conditioning strategy for this coming winter. Even if you’ve been active all summer, that doesn’t mean you are totally ready for alpine or nordic skiing, snow-shoeing, or winter hiking. Consider the kayaker: Great upper body strength. If your technique is right, you probably have some great abs, too. But what about those quads and hamstrings? Cyclist? Marvelous gam strength, but is your upper body and ab section ready to support your legs’ movements? In any case, think over what’s missing in your conditioning and get started. You need at least two months to get back to where you want to be. SeniorsSkiing.com’s Health>Conditioning menu has a number of suggestions for you. 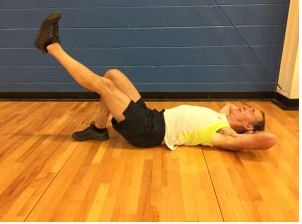 We have a graded series of exercises from easy starters to most challenging from Rick Silverman, a professional physical therapist and exercise consultant. It really is a good place to start. In addition, we’ve found that some simple Yoga positions scan be enormously helpful in loosing hips and hamstrings, two frequent culprits that cause mischief in lower backs. We have articles on how to do Down Dog, Plank, Squats We also have an overview of Tai Chi, a slow-mo moving form derived from an ancient Asian marital art that is really useful in practicing balance and building strength. Let us know what you do for winter snow sports conditioning. Harriet Wallis reports on the therapeutic nature of tea and an entrepreneurial company that sells a wide array of different and exotic blends with the prosaic name, The Tea Spot. We met some of the enthusiastic staff of this woman-owned and operated company at this year’s Outdoor Recreation show in Denver. Might want to think about replacing that cup of java. Roger Lohr, publisher of XCSkiResorts.com and SeniorsSkiing.com’s Nordic Editor, has a review of a book senior skiers and outdoorsy types would be interested in. It’s The Nature Fix, by Florence Williams and it presents scientific data on why it is a good thing to spend time outside. Roger also writes about how golf courses can turn their gently rolling hills into cross-country ski trails when the snow flies. In fact, a consulting company that transforms links to ski terrain for the winter is offering a $500 referral fee to readers who can steer it to a qualified prospect. Read details here. Finally, correspondent Tamsin Venn reports on a series of downhill-oriented mountain bike trails in the White Mountains that can make a late summer-early autumn weekend vacation a truly magic experience. On to September and more news about our Trailmasters, skis and boots for seniors, where you can ski for free or almost free, and our great, big anniversary issue coming up. And remember, there are more of us every day, and we aren’t going away.